JP Longboat is Mohawk, Turtle Clan from Six Nations of the Grand River in Southern Ontario, Canada. JP has a Bachelor of Fine Arts Degree through combined education at the University of Michigan and the Ontario College of Art and Design. JP has extensive professional training and practice in traditional and contemporary forms of visual art and performance disciplines. JP has trained, collaborated, and performed with many professional theatre and dance companies across Canada. His work emanates from the cultural traditions of his people: language, land and territory, teachings, and stories shared within Longhouses and lodges, gatherings and ceremonies. JP creative process is grounded in Indigenous artistic experience, practice, and legacy. 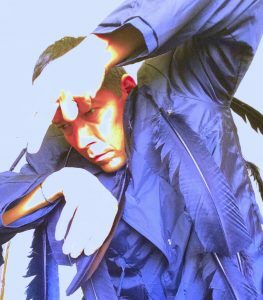 JP is the founder and Artistic Director of Circadia Indigena~ Indigenous Arts Collective.